The Trump administration must discard reckless campaign rhetoric and learn how to build on his predecessor’s substantial nonproliferation record. For decades, U.S. presidents from both parties have been confronted with a range of nuclear weapons perils. So far, despite several near misses and close calls, we have avoided catastrophe and limited the spread of nuclear weapons to nine states. But with the election of Donald Trump, the United States and the world move into uncharted and dangerous nuclear territory. Beginning Jan. 20, the devastating power of the U.S. nuclear arsenal will be under the control of an impulsive and unpredictable commander-in-chief. During the 2016 campaign, Trump made a number of casual and deeply troubling statements that suggest he has a poor understanding of the unique dangers posed by nuclear weapons and may not be up to the task of managing the risks. When asked in January 2016 when he might consider using nuclear weapons, Trump said, “Well, it is an absolute last stance…[but] you want to be unpredictable,” implying that he might engage in dangerous nuclear brinksmanship in a crisis. Trump said it would be acceptable if Japan or South Korea sought their own nuclear weapons to counter North Korea’s because, he claimed, “it’s going to happen anyway.” Such an attitude contradicts decades of U.S. policy and undermines the global consensus against proliferation. Trump also pledged to “dismantle” the 2015 agreement between six world powers and Iran, which is verifiably working to block Iran’s pathways to the bomb. If he tries even to “renegotiate” the deal, he would open the door to the rapid reconstitution of Iran’s capabilities, alienate all major U.S. allies, and trigger another disastrous war in the Middle East. If Trump or the Republican-led Congress sabotage the deal, they will own the grave geopolitical consequences. 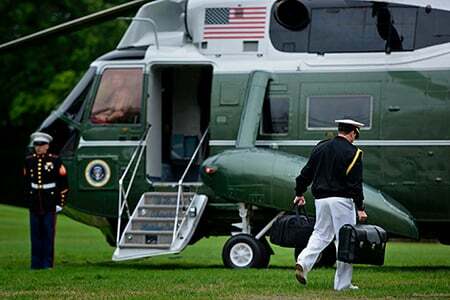 Unlike President Barack Obama, who came into the White House with a detailed nuclear threat reduction game plan, Trump has no discernable strategy for managing today’s most daunting nuclear challenges. The most urgent problem is North Korea’s growing nuclear weapons capability. Even with tougher international sanctions, the North’s program will continue to advance, and calls for nuclear weapons in South Korea will grow. With additional nuclear and missile tests, Pyongyang could have an operational arsenal of several dozen nuclear-armed, medium-range ballistic missiles by the end of Trump’s first term. During the campaign, Trump said he would be willing to talk with North Korea’s leader, but he also suggested the problem could be outsourced to China. In reality, Beijing will not exert what influence it has without clear U.S. support for a renewed and wide-ranging dialogue with Pyongyang. Shortly after Inauguration Day, Trump should direct a personal representative to communicate the United States’ interest in a deal leading to denuclearization and a formal end to the Korean conflict. As a first step, the parties should agree to a verifiable halt of further North Korean longer-range missile and nuclear tests and fissile material production and a temporary cessation of major U.S. military exercises in the region. This approach does not guarantee success, but maintaining the current policy assures failure. Trump must also engage with Russian President Vladimir Putin to defuse rising tensions and head off a NATO-Russia confrontation that could lead to nuclear war. To do so, his still-to-be-named team will need to revitalize existing risk reduction and confidence-building mechanisms, ensure that Russia respects international borders, preserve the 1987 Intermediate-Range Nuclear Forces Treaty, address Russian fears about U.S. missile interceptor capabilities, and develop rules of the road to prevent destabilizing cyberattacks. The risk of catastrophic miscalculation remains far too high. Until 2021, each side is allowed to deploy 1,550 strategic nuclear warheads, hundreds of which are primed for launch under attack. For a start, Trump and Putin should reaffirm that there can be no winner in a nuclear war and agree to a sustained dialogue on strategic stability. If Trump can persuade Congress not to expand costly missile interceptor programs and respects the U.S. nuclear test ban and no-new-nuclear-warhead policies, he may find Russia willing to jointly slash strategic nuclear forces by one-third below the limits of the 2010 New Strategic Arms Reduction Treaty. Such a step would ease tensions and reduce fears of a new nuclear arms race, plus it would reduce the skyrocketing price of nuclear weapons. The current all-of-the-above plan to replace and upgrade the U.S. nuclear triad and supporting infrastructure is projected to cost more than half a trillion dollars over the next 20 years and is unsustainable. By reducing nuclear excess and delaying program schedules, deterrence requirements can be met while saving tens of billions of taxpayer dollars. The most serious test of any president is whether and how they reduce global nuclear dangers and avoid miscalculation in a nuclear crisis. To succeed or at least avoid major mistakes, the Trump administration must discard reckless campaign rhetoric and learn how to build on his predecessors' substantial efforts to strengthen the taboo against the spread and use of nuclear weapons. Deeper integration between conventional and nuclear planning and operations is essential to ensure that U.S. nuclear weapons can continue to effectively fulfill their fundamental deterrence role in the 21st century. At first glance, these statements may seem discordant with the long-standing U.S. view that nuclear weapons are distinct and apart from other military capabilities. This fundamental distinction is reflected in almost every aspect of how nuclear weapons are treated. Only the president can authorize the employment of nuclear weapons, and the United States maintains a unique declaratory policy explaining and limiting the conditions under which their use would be considered. Nuclear weapons require special operational considerations and safeguards. Personnel with access to nuclear weapons, facilities, and materials require additional screening and monitoring. The notion of conventional and nuclear weapons integration is often portrayed as threatening to weaken or break down the special status and “profound caution” afforded to nuclear weapons. Yet, the statements by Carter and Scher are consistent with U.S. nuclear deterrence policy and the underlying philosophy from which it stems. Much of the integration debate boils down to differing characterizations of the ends and ways of conventional and nuclear weapons integration, a question of objectives, and how to achieve them. Ensuring “an appropriate level of integration” requires a mix of maintaining and improving key aspects of integration. Doing so serves U.S. security interests, in particular, providing effective nuclear deterrence, without increasing reliance on nuclear weapons, blurring the distinction between non-nuclear and nuclear conflict, or lowering the threshold for nuclear use. Indeed, better integration will reduce the likelihood of an adversary’s nuclear use while maintaining the U.S. threshold at its appropriately high level. Deeper integration between conventional and nuclear planning and operations is essential to ensure U.S. nuclear weapons can continue to effectively fulfill their fundamental deterrence role in the 21st century. 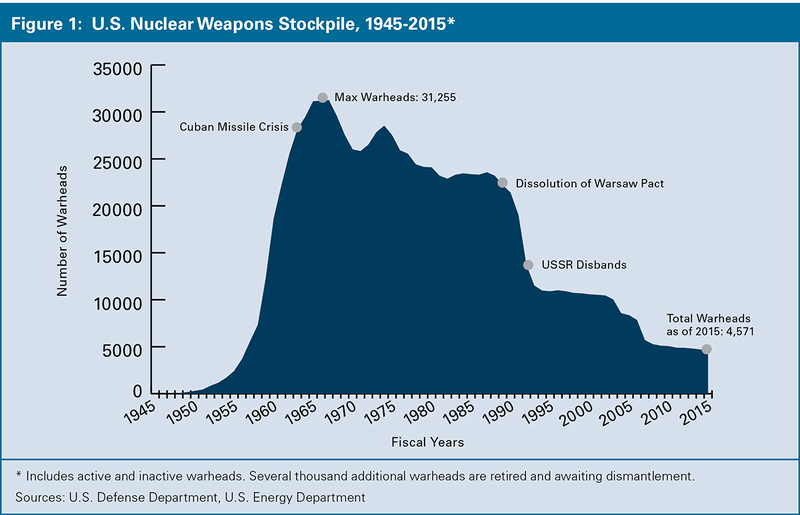 The primary role of U.S. nuclear weapons has not changed since the 2010 Nuclear Posture Review, that is, to deter nuclear attacks on the United States and its allies and partners. Deterrence is strengthened by the arsenal’s capacity to perform its secondary role of “achieving U.S. and allied objectives if deterrence fails.” Neither of these roles is new, but the security environment in which U.S. nuclear posture and strategy must support these roles is changing. So too are the nuclear deterrence challenges for which the United States must prepare. The 2014 Quadrennial Defense Review (QDR) report illuminated this changing context, stating that U.S. nuclear forces communicate to “potential nuclear-armed adversaries that they cannot escalate their way out of failed conventional aggression.”3 More than a massive surprise nuclear attack in peacetime or a suicide attack on the U.S. homeland, the QDR highlights the danger of a calibrated and limited attack amid a conventional conflict gone awry. Developments in Russia, North Korea, and China demonstrate why this is a salient deterrence challenge. These countries may see tacit or explicit nuclear threats as a potent means of demonstrating to U.S. leaders that U.S. stakes are materially lower than their own, thereby weakening U.S. commitment to come to the aid of allies should they find themselves in a regional conflict.4 Numerous analysts have observed that Russia sees limited nuclear attack as a potential means of de-escalating a conventional conflict by demonstrating a favorable asymmetry of stakes or at least views threatening such a course of action as useful for deterring U.S. engagement at the outset. The working assumption would be that following an initial limited nuclear attack, the side with more skin in the game would be more willing to continue the fight and accept the attendant risk of further nuclear escalation. At the other end of the capability spectrum, North Korea may see the threat of limited nuclear escalation early in conflict as an effective means of deterrence and wartime coercion in the face of vastly superior U.S. and South Korean conventional forces. Finally, China has a no-first-use declaratory policy, but debates within China over what constitutes first use and whether the declaratory policy would hold in a conflict suggest some consideration for threatening or using nuclear weapons for purposes other than responding to nuclear attack. Because there is escalation risk inherent in any conflict between nuclear-armed states, it would be irresponsible to extend security commitments to U.S. allies and pledge to deter conventional aggression without taking into account how potential foes may deliberately or haphazardly bring nuclear weapons into play. Thus, when dealing with a nuclear-armed adversary, there is intrinsic and unavoidable linkage between the conventional and nuclear realms. Ignoring that fact invites peril. Managing escalation in confrontations with nuclear-armed adversaries is an essential element of U.S. national security strategy. Escalation management seeks to protect the vital interests of the United States and its allies while convincing an adversary to refrain from using the full military means at its disposal. Deeper integration of nuclear and conventional planning and operations serves three ends of escalation management. Preparing to achieve these ends weakens the coercive nuclear strategies adversaries may develop when contemplating aggression and therefore ultimately strengthens the United States’ ability to deter a conflict from starting in the first place. The first objective of integration is to strengthen one’s ability to deter adversaries from choosing nuclear escalation in a conventional conflict. Because nuclear weapons enable a country to rapidly inflict massive levels of damage, a military confrontation with a nuclear-armed state is fundamentally different from one with a non-nuclear adversary. Whatever other political objectives brought the United States into such a war, deterring first use of nuclear weapons would automatically become a central U.S. objective. Second, integration aims to strengthen one’s ability to achieve U.S. and allied objectives if deterrence fails. Presumably, the United States would enter any conventional conflict with a set of war aims tied to political objectives. Those aims and objectives are unlikely to disappear after a limited nuclear attack, although they might change somewhat in substance or priority. Integration facilitates efforts to keep conventional operations and nuclear posture aligned with the political objectives they are designed to support. There are three principal ways to improve integration consistent with the special status afforded to U.S. nuclear weapons. The first two represent areas where improvement is needed, and the third is principally a matter of ensuring that current capabilities remain viable. Together, these aspects of integration strengthen U.S. escalation management strategy by helping the United States avoid miscalculation leading to nuclear war. If deterrence fails, they help ensure that the president’s options for responding to a nuclear attack are not limited to ceding victory to the aggressor or ordering a massive nuclear counterattack. Integration enables the additional options of continuing the conventional war after adversary nuclear weapons use without responding in kind or responding in kind while continuing conventional military operations. 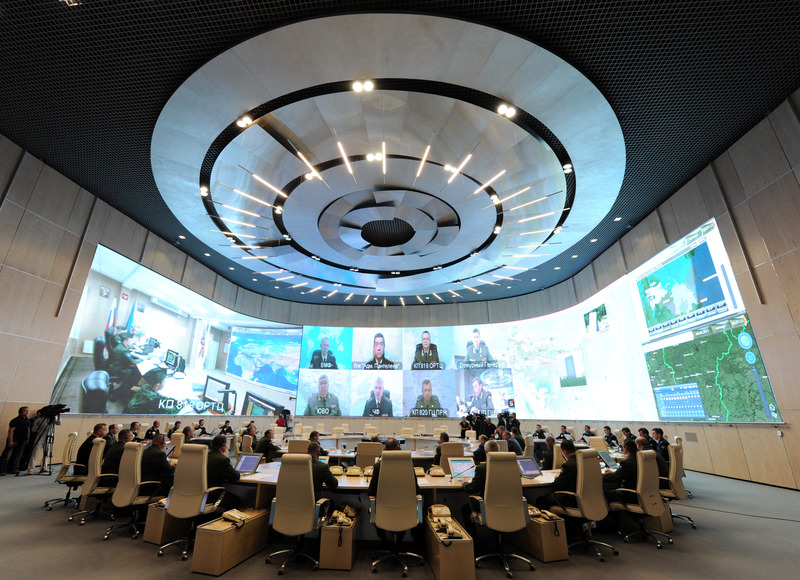 Planning conventional campaigns to shape adversary escalation calculus. Deterring nuclear escalation within a conventional conflict is an important 21st century challenge. The United States must prepare to operate under the nuclear shadow while navigating through the fog of conventional war. The core principles of nuclear deterrence remain the same after the fighting starts: willingness to respond forcefully and purposefully to nuclear weapons use and willingness to show certain forms of restraint as long as the adversary does not use nuclear weapons. Yet, effectively communicating resolve and restraint—the ying and the yang of the deterrence message—amid the confusion and emotion of war may require additional measures. The threat of response must effectively convey that the United States and its allies will not allow an adversary to escalate its way to victory, split alliances through coercive threats or nuclear attack, or achieve a favorable military situation by using nuclear weapons. At the same time, U.S. officials must sustain and communicate the promise of restraint that is inherent in every deterrence threat, the assurance that choosing to remain below the nuclear threshold will spare the adversary the threatened cost of crossing it. Harmonizing this deterrence strategy with U.S. conventional operations is a key point of integration. As Scher explained, “[I]ntegration means conventional operations must be planned and executed with deliberate thought as to how they shape the risk that the adversary will choose nuclear escalation.”7 The United States may need to forgo certain objectives, such as regime change, that would likely lead adversary leadership to see nuclear weapons use as its only viable option for survival. In order for the adversary to understand and believe that this restraint is contingent on it not using nuclear weapons, the United States would also need to avoid military operations the adversary is likely to perceive as a precursor to regime change or disarming strategic attacks. This would likely require withholding attacks on adversary nuclear forces, nuclear command and control, political leadership, and assets or capabilities critical to an adversary’s basic ability to defend its homeland. As the United States, Russia, China, and others expand their strategic postures and operational concepts to include conventional, space, cyber, and nuclear forces, integration requires looking across domains and functional capabilities to fully analyze escalation risks. Will a particular cyber- or space operation impact an adversary’s nuclear operations? How will adversary leadership interpret the intent of the operation? If an operation is intended to strip away adversary intelligence, surveillance, and reconnaissance capabilities, how will it impact the adversary’s ability to gauge U.S. and allied limited aims? The twin objectives of effectively waging the conventional campaign and seamlessly executing a nuclear deterrence strategy will likely engender tension and require difficult trade-offs. For example, the United States may be at a disadvantage in executing in a conventional conflict if it does not launch conventional strikes against adversary air defenses or conventional missile systems. If these targets are located in a nuclear-armed adversary’s homeland, however, U.S. officials may be concerned that adversary leadership will perceive such actions as indicative of a drive for regime change. Integration cannot eliminate these tensions and trade-offs, but it can help illuminate critical decision points. This will help senior decision-makers weigh the benefits and escalation risks of certain courses of action. Ultimately, whether certain conventional military operations should be ruled out or curtailed in order to reduce the risk of nuclear escalation is a presidential decision. The purpose of this aspect of integration is to enable informed decisions about U.S. strategy in confrontations with nuclear-armed adversaries and to ensure U.S. military and diplomatic means are poised to execute that strategy as precisely as possible. 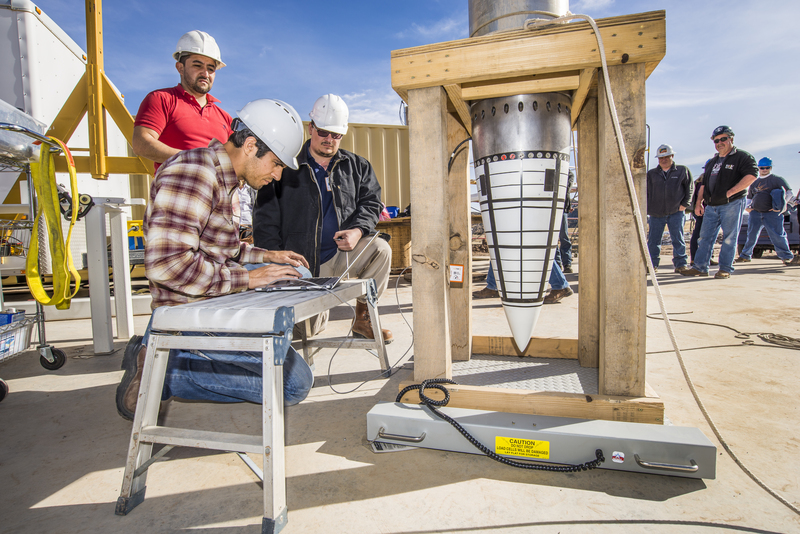 Strengthening conventional resiliency to nuclear operations. An adversary may see nuclear escalation as an efficient means to shift the conventional military balance in a conflict, even if only for a short period of time. Strengthening the resiliency of conventional operations to adversary nuclear attack is a second way to strengthen integration. This aspect of integration contributes to managing escalation for two reasons. First, it preserves presidential flexibility in the face of limited nuclear use. Wherever possible, the president should have the option of continuing the conventional fight even after an adversary employs nuclear weapons. Furthermore, this should not be a binary strategy where conventional and nuclear options for responding to a nuclear attack are mutually exclusive. Denying presidential flexibility would essentially offer the adversary the ability to dictate the means of the conflict by choosing nuclear escalation. This would more likely favor the side that perceives itself as conventionally weaker and therefore more reliant on nuclear weapons. Second, conventional resiliency reduces the potential benefits of attacking U.S. forces with nuclear weapons. If a limited nuclear attack is unlikely to result in a decisive operational-military advantage, then using nuclear weapons carries high risk but scant rewards. In other words, conventional resiliency contributes to deterrence. For both of these reasons, ignoring conventional resiliency invites adversaries to elevate the role of nuclear weapons in their strategies. Providing integrated response options that are limited and credible. Possessing credible options for responding to first use of nuclear weapons reinforces all three ends of escalation management (deterring nuclear escalation and, if deterrence fails, restoring deterrence and achieving other U.S. and allied objectives). Potential adversaries may conclude they can calibrate a nuclear attack to coerce the United States into capitulating without causing sufficient destruction to provoke a large nuclear response. The ability to respond to an attack purposefully and proportionately helps convince adversaries that no such sweet spot exists. Of course, what constitutes a purposeful and proportionate response would depend on the context. As a general rule, the U.S. response would need to be integrated into the conventional campaign to avoid disrupting U.S. conventional operations. In order to deter rather than spur another nuclear attack, the response would need to be consistent with U.S. efforts to communicate its resolve and its limited war aims to the adversary. Finally, it would also need to be integrated into the broader political strategy for orchestrating an end to the conflict. This ability underpins the strategic message that the United States will defend the core interests of its allies even in the face of nuclear threats. Relying solely on large-scale response options may indeed be credible for deterring attacks on the U.S. homeland, but as the sole means for reacting to a limited attack overseas, it runs the risk of appearing as a hollow bluff to allies and adversaries alike. Limited options are thus an important part of extending deterrence and assuring U.S. allies. This is not a call for returning to nuclear artillery or using nuclear weapons for tactical military effects that could be achieved with conventional forces. Rather, the United States should retain the diversity and flexibility of its current arsenal, particularly its nuclear-capable bomber and fighter aircraft. These aircraft are key to effectively deterring and responding to limited nuclear attack because they can be used to demonstrably signal deterrence messages (they are the only component of U.S. nuclear forces that is visible and recallable), they can be forward deployed in crisis and conflict and well as in peacetime, and the weapons they can carry contribute to the range of yields in the U.S. stockpile. Under the current stockpile reduction plan, these aircraft will carry a single type of gravity bomb (the life-extended B61), and the bomber force will also carry a single type of nuclear-armed cruise missile (the air-launched cruise missile, to be replaced with the modernized long-range standoff weapon). 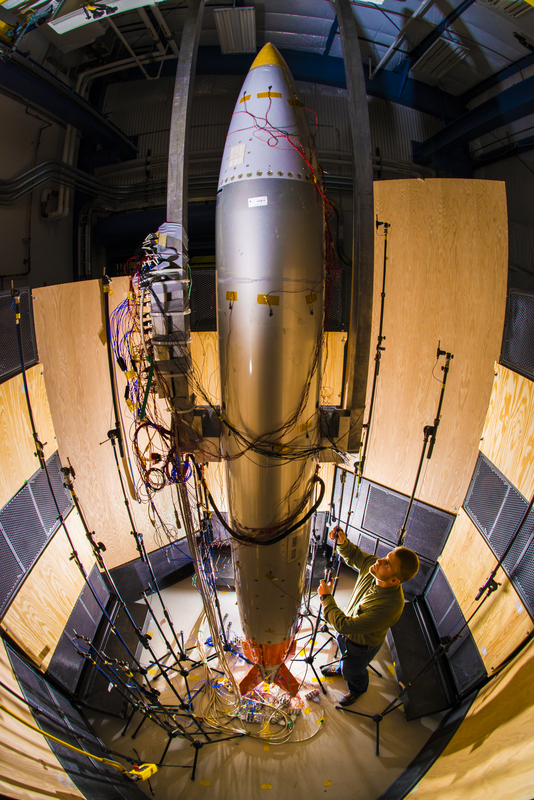 Owing to tremendous reductions in warhead numbers and types over the past three decades as a result of negotiated and unilateral actions, the U.S. arsenal and suite of delivery platforms have reached a minimum acceptable level of diversity and flexibility. Although some numerical reductions may still be possible, warhead and delivery platform types should not be further reduced in the near term. On the contrary, those remaining capabilities should be sustained and, where necessary to remain viable, modernized to maintain the existing range of credible and proportionate response options. In concert with U.S. land- and submarine-based ballistic missiles, this suite of capabilities is minimally sufficient for enabling integrated, limited options for achieving U.S. objectives after a limited attack when the president judges that non-nuclear responses alone are insufficient. For example, after a limited nuclear attack on U.S. forces fighting abroad, the president may judge that the United States needs to demonstrate its willingness to respond with nuclear weapons. A conventional response, even if capable of destroying the same target on a comparable timescale, would not have the same psychological impact as a response in kind and risks inviting a follow-on nuclear strike or fracturing an alliance. A larger nuclear response could be disproportionately destructive, triggering physical and operational effects that provoke rather than deter further escalation. Under these conditions, a limited nuclear response might succeed in restoring nuclear deterrence and sustaining the alliance. Success would not be guaranteed, but the risks of alternative options would likewise be severe. Some contend that the objectives of U.S. escalation management strategy, including deterring an adversary from escalating across the nuclear threshold and restoring deterrence if ever it fails, would be better served by reducing nuclear integration rather than by maintaining or increasing it. These critiques typically reduce integration to just its third element—limited response options—and advance one or more of three basic arguments. First, some believe efforts to ensure nuclear and conventional integration lower the nuclear threshold by making it easier for the United States to use nuclear weapons first in a conflict. These claims are often tied to the supposed pursuit of new nuclear weapons with lower yields that make them more “usable” than those in the existing arsenal. Neither this general claim nor its supporting elements are consistent with the scope of the U.S. nuclear modernization plans or the defense strategy it supports. 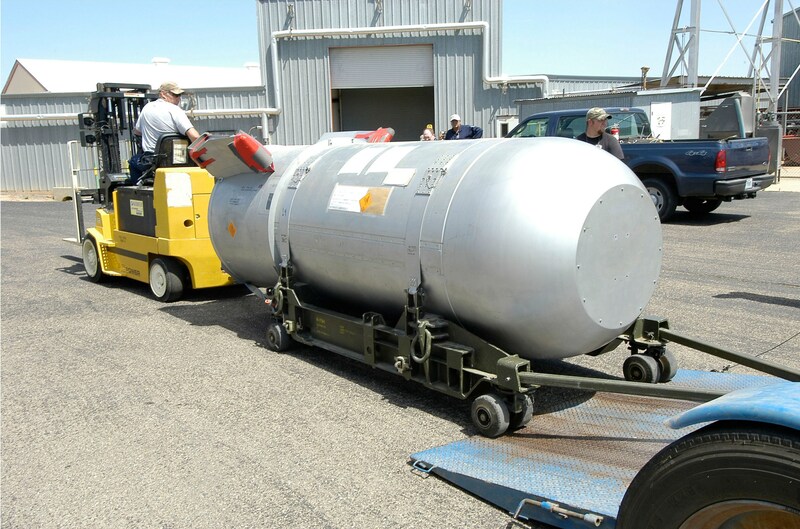 Low-yield weapons have been a part of the U.S. stockpile for half a century, and Pentagon officials have stated unequivocally that current plans, including the life extension of the B61 gravity bomb, do not entail expanding the range of yields already available.10 More generally, despite the deliberate ambiguity inherent in U.S. declaratory policy, the notion of U.S. first use for tactical advantage or for de-escalating a conventional conflict is far removed from U.S. nuclear strategy, which focuses on credible options for responding to and therefore deterring nuclear attack. Second, some would claim that forgoing the ability to respond in a limited way would strengthen deterrence because it would imply the threat of massive nuclear retaliation in response to even a limited attack. Eliminating limited options would thus decrease the likelihood of adversary first use. Although automatic large-scale retaliation would indeed negate any rational gains an adversary may hope to achieve through a limited attack, the threat to do so only works if the adversary believes it. The United States cannot responsibly count on all adversaries concluding that the threat of massive retaliation is always credible. It is difficult to imagine that, in the immediate aftermath of a limited nuclear attack against a U.S. ally, even critics of limited response options would advise the president to order a massive strike on the grounds that credibility demands it or that total escalation is inevitable. Removing limited options would weaken deterrence if adversaries believe available U.S. nuclear responses are far less likely to produce an acceptable outcome for the United States and its allies, let alone a desirable one. Similarly, sole reliance on large-scale nuclear response options would do a poor job of dissuading allies from seeking independent deterrent capabilities. Given the costs of capitulating to nuclear coercion and the risks of a strategy based on threatening massive response, what would the United States gain by removing the option of a limited nuclear response? Some contend that a conventional response to limited nuclear use is the better course under any circumstances. They believe that limited options are undesirable because they make it more likely a president will unnecessarily choose a nuclear response and because pursuing them drives requirements for types of nuclear weapons that do not increase U.S. security. A purely conventional response might indeed be the best way to limit further nuclear escalation and achieve U.S. and ally war aims in some cases, but it is unreasonable to assume a priori that this will always be the case. Contrary to the objectives of escalation management strategy, solely continuing the conventional fight might encourage further nuclear attacks aimed at finding the U.S. and allied pain threshold or measuring the relative stakes and resolve of the two sides. This is especially likely if the adversary’s goal is to stop the conventional campaign and its initial nuclear attack fails to achieve this goal but does not elicit the type of U.S. response it most fears. Furthermore, a strategy of continuing the conventional campaign toward victory after adversary limited nuclear use would likely provide the enemy with ample time and incentive to employ additional nuclear attacks. Ultimately and in anticipation of or in response to further nuclear attacks, holding to the conventional-only response might create pressure for negotiating a cessation to hostilities at all costs, implying U.S. capitulation and an adversary’s successful implementation of its nuclear coercion strategy. Moreover, credible options for deterring subsequent nuclear strikes provide an essential underpinning of a conventional-only response to nuclear attack. In order to restore deterrence, the United States would need to convince the adversary that any further nuclear use would result in costs that outweigh potential gains. For example, an adversary may believe that a limited nuclear attack or even a demonstration shot will compel the United States to capitulate. If that strategy fails and the United States continues fighting, adversary leadership might resort to a nuclear strike on U.S. military forces in the theater to raise the stakes and blunt the ongoing campaign. The fact that deterrence already failed once would no doubt raise questions about U.S. defense strategy, but the likelihood of a U.S. nuclear response in this case might be perceived as higher than the chance the United States would retaliate with nuclear weapons in response to a first attack that inflicted little or no damage. The threat of a large-scale response might succeed in deterring follow-on attacks, but it might not be perceived as credible, particularly if the adversary has a survivable arsenal. A large-scale response may also be incompatible with the U.S. political objectives associated with the conventional fight. Thus, we find it difficult to imagine a U.S. president sustaining conventional operations after an initial nuclear attack if massive retaliation is the only nuclear option for responding to a second limited attack. The better course is neither to prejudge presidential decisions nor surrender the option most likely to be credible and aligned with political objectives. Some fear that calls for greater integration imply a dangerous level of confidence in U.S. escalation-control strategy. Yet, effective deterrence requires an approach to escalation risk that avoids absolutism of either extreme. Confidence in one’s ability to deliberately start a limited nuclear war between major nuclear powers and control subsequent escalation would be the ultimate miscalculation, but inherent uncertainty about one’s ability to control escalation should not translate into certainty that any nuclear use would automatically lead to uncontrolled escalation up to global annihilation. The point about uncertainty is that no one can know for certain what the eventual outcome would be. Virtually everyone would want the president at least to try to limit escalation following an adversary attack. Consequently, it makes no sense to voluntarily relinquish the kind of credible response options below the level of massive retaliation that every president has required since the Soviet Union first acquired the ability to inflict unacceptable damage on the United States. Nuclear weapons are unique in their ability to inflict and deter violence and should never be treated as more powerful analogues to conventional munitions. Ensuring and strengthening integration of nuclear and conventional planning and operations is consistent with this long-standing principle. It is also critical to maintaining an appropriately balanced approach to escalation management and meeting the most salient of contemporary deterrence challenges. 1. U.S. Department of Defense, “Remarks by Secretary Carter to Troops at Minot Air Force Base, North Dakota,” September 26, 2016, http://www.defense.gov/News/Transcripts/Transcript-View/Article/956079/remarks-by-secretary-carter-to-troops-at-minot-air-force-base-north-dakota. 2. Robert Scher, Statement before the Senate Armed Services Subcommittee on Strategic Forces, February 9, 2016, p. 3, http://www.armed-services.senate.gov/imo/media/doc/Scher_02-09-16.pdf (hereinafter Scher statement). 3. Department of Defense, “Quadrennial Defense Review,” p. 14, March 2014, http://archive.defense.gov/pubs/2014_Quadrennial_Defense_Review.pdf. 4. Nikolai N. Sokov, “Why Russia Calls a Limited Nuclear Strike De-Escalation,” Bulletin of the Atomic Scientists, March 13, 2014, http://thebulletin.org/why-russia-calls-limited-nuclear-strike-de-escalation; Keir A. Lieber and Daryl G. Press, “Coercive Nuclear Campaigns in the 21st Century: Understanding Adversary Incentives and Options for Nuclear Escalation,” PASCC Report, No. 2013-001 (March 2013); U.S. Office of the Secretary of Defense, “Annual Report to Congress: Military and Security Developments Involving the People’s Republic of China 2016,” April 2016, http://www.defense.gov/Portals/1/Documents/pubs/2016%20China%20Military%20Power%20Report.pdf. See Brad Roberts, The Case for U.S. Nuclear Weapons in the 21st Century (Stanford, CA: Stanford University Press, 2016). 5. David S. Yost, “The History of NATO Theater Nuclear Force Policy: Key Findings From the Sandia Conference,” Journal of Strategic Studies, Vol. 15, No. 2 (June 1992): 228-261. 6. Scher statement, p. 3. 8. Joint Defense Science Board/Threat Reduction Advisory Committee Task Force, “The Nuclear Weapons Effects Enterprise,” U.S. Office of the Under Secretary of Defense for Acquisition, Technology, and Logistics, June 2010, http://www.acq.osd.mil/dsb/reports/ADA523661.pdf. 9. For more information, see Bob Work, speech on the Third Offset Strategy at the Reagan Defense Forum, November 7, 2015, http://www.defense.gov/News/Speeches/Speech-View/Article/628246/reagan-defense-forum-the-third-offset-strategy. Vincent A. Manzo is a fellow in the Defense and National Security Group at the Center for Strategic and International Studies. Aaron R. Miles is a fellow at the Center for Global Security Research at Lawrence Livermore National Laboratory. The views are those of the authors. The Energy Department said it will cost $2.9-3.8 billion over the next two decades to clean up hazardous waste at the Los Alamos National Laboratory, a legacy of the nation’s nuclear weapons program. 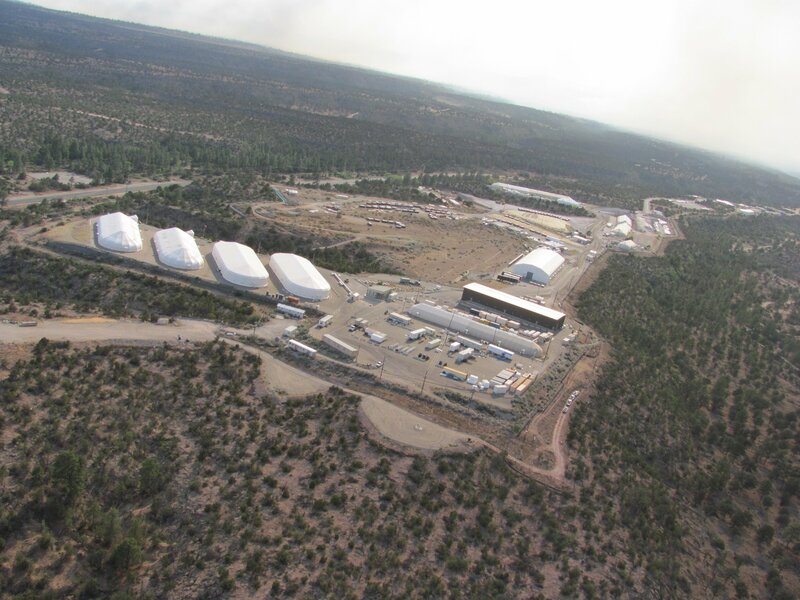 Although the report made public on Sept. 15 said that funding would complete the cleanup at the 40-square-mile site, Nuclear Watch New Mexico said the government is underestimating the cost to deal fully with the lab’s accumulated waste. Nuclear Watch, a research and advocacy group, criticized the estimate as being based on what the report calls “realistic expectations of annual funding” and as failing to adequately deal with the lab’s largest waste site. The group said that 150,000 cubic meters of “poorly characterized radioactive and toxic wastes” at the Area G site are to be capped and covered rather than treated and removed. That would create a permanent nuclear waste dump above the regional groundwater aquifer and three miles uphill from the Rio Grande river, the group said in a statement Sept. 21. The report by the Energy Department’s environmental management office is the most comprehensive view of the cleanup work remaining after 26 years of efforts to deal with the waste at the lab, a hub of nuclear weapons research and development since the Manhattan Project in 1943. The Energy Department committed to expediting the cleanup under a June 2016 consent order with the New Mexico Environment Department, which supersedes a 2005 consent order, under which many deadlines were missed. The new accord reflects concerns expressed by state officials and Nuclear Watch that cleanup funding has declined from a high of $225 million in fiscal 2014 to $189 million for the current fiscal year, even as funding for the lab’s nuclear weapons programs has increased. 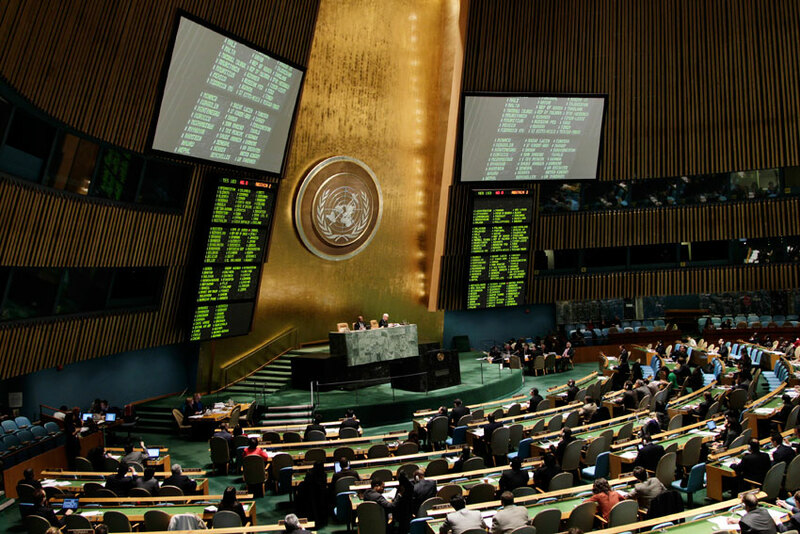 The status of nuclear weapons within international law was a subject of intense debate during last fall’s UN General Assembly First Committee session. State supporters of the humanitarian initiative on nuclear weapons pressed for resolutions asserting the illegality of nuclear weapons and sought to build support for the near-term negotiation of a global ban on nuclear arsenals. Such clashes are likely to continue and prove intractable, shedding more heat than light on the relationship between the law of war and nuclear forces. The five NPT nuclear-weapon states (China, France, Russia, the United Kingdom, and the United States) will continue to view nuclear deterrence as vital to the security of themselves and key allies for the foreseeable future. Inconclusive debates in international forums over the general legality of nuclear weapons obscure a more important question at a time when the NPT nuclear-weapon states are overhauling their nuclear forces and, in the cases of Russia and China, upgrading and diversifying: for those states permitted to possess nuclear weapons, how does the law of war apply to their development, fielding, and deployment of nuclear forces? This article will discuss how core principles of the law of war,2 which represents the specific body of law that is lex specialis to the conduct of armed conflict, including the means and methods used to wage war, can apply to or be integrated with the decision-making processes of these five states with regard to their development, fielding, and deployment of nuclear forces.3 It provides guidelines and suggestions rather than specific “rulings” or prescriptions because the application and implementation of the law of war is best carried out through a series of assessments that evaluate weapons, their delivery means, and the rationale for their potential employment.4 It is informed by legal interpretations and policy positions associated with the United States but offered in hopes of catalyzing a broader discussion on how the law of war, which is intended to reduce the suffering and destruction of all types of conflicts and to facilitate the “restoration of peace,”5 applies to all states that elect to field nuclear forces. As such, the core principles of the law of war apply to the development, fielding, and deployment of nuclear forces. The manual identifies three “interdependent” core principles within the law of war: military necessity, humanity, and honor. Humanity itself encompasses three key principles: distinction, proportionality, and the prohibition against unnecessary suffering. This article seeks to address several of these principles as they relate to leadership decision-making on nuclear strategy, posture, and potential employment of nuclear weapons, to the development of nuclear delivery systems and weapons, and to the military assessment process known as weaponeering. In weighing the legitimate use of force in wartime and the imperative of winning “quickly and efficiently” against the imperative of fighting in a manner that is not “cruel” or “wanton” or makes a future peace impossible, military necessity is often linked with the principle of proportionality.8 The latter principle asserts that the use of military force should not be “unreasonable or excessive.”9 In terms of application, proportionality asks leaders and war-fighters to consider the first- and second-order effects, including the potential effects on civilians, of proposed military actions. If these outweigh the benefits of the suggested action—they do little to advance the cause of victory and could result in significant civilian casualties and damage to civilian property—they should be rejected. One way to think about the relationship between the principles of military necessity and proportionality is to consider the example of an adversary military base that is important to their continued operations against you or that houses forces that can cause you grievous harm. This base is a legitimate target and can be totally destroyed, but proportionality considerations may mitigate or change how a leader or commander plans to destroy this facility and what means or methods are used. If a range of means are available, proportionality considerations will lead to the election of an option that is less likely to cause collateral damage. Acknowledging and attempting to address the tension between military necessity and proportionality are important for all potential uses of force, but they are particularly critical when it comes to the possible employment of nuclear force. What types of information and processes can ensure a measured evaluation of courses of action that includes consideration of these law of war principles? First, an assessment factoring in military necessity and proportionality should not begin during a nuclear crisis or conflict. The stress of the situation will likely result in a focus on quickly addressing the most immediate or pressing threats at hand, with little to no time or attention available to consider the potential second-order effects or broader implications of decisions made in the breach. Regardless of how an NPT nuclear-weapon state chooses to integrate law of war considerations into its national leadership decision-making calculus, this is an argument in favor of undertaking this integration in peacetime, well before any situation arises where nuclear employment may need to be considered. Second, when taken together, the principles of military necessity and proportionality frame a limited, discrete space for considering potential nuclear weapons employment. In a geopolitical environment where the NPT nuclear-weapon states face significant threats, including those from weapons of mass destruction (WMD), it is possible to envisage scenarios where the circumstances are dire and the demands of military necessity could lead to the consideration of employing nuclear force to destroy rapidly and totally, if necessary, these threats. Yet, the principle’s dual requirement to consider whether the means employed make the return to peace difficult or impossible, buttressed by the admonishment to minimize collateral damage to the extent possible, raise the bar for nuclear employment very high. Determining the parameters of this space and the height of this bar is not a single, stand-alone assessment. It requires a series of nested, interrelated assessments that provide information allowing decision-makers to make informed choices that take into account military necessity and proportionality. These assessments should be undertaken shortly after a new leader begins their term in office, should draw on the experience and expertise of the state’s national security community, and should be supplied to the leader and their most senior advisers. These assessments would contribute to the development of a nuclear strategy, and their purpose would be wider than the law of war. They would also, however, provide information vital to an evaluation weighing the demands of military necessity against the limitations of proportionality. One set of assessments would focus on the military threats, such as weapons of mass destruction, which might justify consideration of nuclear strikes. This analysis would provide critical context with regard to military necessity. In a geopolitical environment where the NPT nuclear-weapon states face these types of threats, it is possible to envisage scenarios in which circumstances could lead to the consideration of employing nuclear strikes to destroy an adversary’s WMD-equipped forces (or associated command and control infrastructure) in order to prevent or halt a devastating attack against themselves or their allies. Yet, the parameters of these major threats—How immediate might they be employed? How potentially lethal?—should be assessed in detail. It is important to emphasize, however, that these assessments will also reveal the enormous difference, in orders of magnitude, between megaton, kiloton, and subkiloton weapons. They will also reveal an enormous difference between “small” nuclear weapons and whatever weapon represents the arsenal’s largest conventional munition. 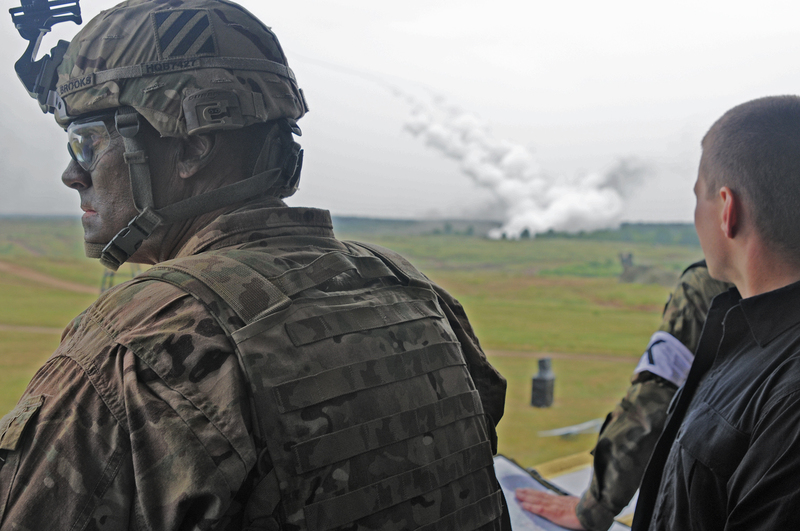 An additional, related set of assessments should focus on when and where the weapon detonates, such as the height of burst of a potential nuclear strike and the impact of shifting the aimpoint, i.e., whether hitting the center or the corner of an adversary’s military base. Here too, the assessments will demonstrate that the effects of strikes will vary dramatically depending on variables such as whether a weapon is detonated on the ground, a short distance from the earth, or high in the atmosphere. Similarly, effects will differ based on where a target is hit. These considerations could serve to illustrate that the law of war does not always provide definitive answers with regard to strategic dilemmas. A national military or nuclear command headquarters, for example, may be a legitimate target in wartime, but would destroying it actually result in conflict escalation, up to and including nuclear employment, either because an adversary is now bent on revenge, loses command and control over its own forces, or both? The necessary tension inherent to the principle of military necessity is meant to prompt leaders and commanders wherever possible to thoroughly assess their options and consider likely outcomes. Its evaluative criteria, however, may help define decisions regarding nuclear forces—where the requirements of defending your population or forces may be paramount at the same time that uncertainty regarding adversary intentions and capacity for escalation may be acute—without facilitating them, even if the desire to adhere to the law is sincere. The law of war permits the use of force, including massive force, to achieve victory, but also emphasizes that attempting to achieve victory at any cost, with no thought for the consequences to civilians, is unlawful and harms the prospects of achieving a lasting peace. Yet, the challenge in correctly calibrating the use of force, particularly when confronted with adversaries capable of causing massive harm, is significant, acute, and sometimes unappreciated by advocates and analysts of international law. The assessments described above are important to a government’s development of its nuclear posture and its declaratory policy—that is, when, where, and how it will employ nuclear force. In addition to addressing questions of strategy and policy, they provide information that allows leaders to integrate law of war considerations into critical decisions and guidance documents. The principle of distinction requires that the use of force be directed against military targets and not civilians or civilian objects, such as civilian buildings; as described by Lieber, “the unarmed citizen is to be spared in person, property, and honor as much as the exigencies of war will admit.”13 As a general rule, the more powerful and destructive the weapon, the greater the care and caution in ensuring that its design and form of employment permit it to be employed in accordance with this principle. Some activists and commentators assert that nuclear weapons can never be employed in a manner that does not violate the principle of discrimination, often pointing to radioactive fallout as an uncontrollable effect of nuclear detonations that will sicken and kill civilians far from the original target. These assertions often appear to assume that all nuclear weapons and detonations are alike in terms of their effects. As discussed above, however, how a weapon is employed can significantly change its effects. So too does its design and the design of its delivery means. This places significant weight across the spectrum of decisions associated with the development, fielding, and deployment of a nuclear force, with questions regarding discrimination first applied during the initial research and design stage of delivery systems and munitions. A critical decision relevant to a weapon’s design is its yield. In its commission and design of nuclear munitions, an NPT nuclear-weapon state should carefully assess how many high-yield weapons it requires because a larger weapon is more likely to raise issues with regard to proportionality. This is also the point in time to consider whether to invest in weapons that have a variable yield, sometimes colloquially referenced as “dial-a-yield,” in order to provide greater flexibility in the event of actual employment. In short, with regard to the weapon itself, an important means of calibrating its effects can begin with design decisions. Discrimination of effects is only possible if the delivery of the munition is itself discriminate. So, it is critically important for an NPT nuclear-weapon state to invest in the technologies—some organic to the delivery system, some resident within supporting systems—to ensure that a delivery system directly strikes its intended aimpoint and does not go astray. In the contemporary era, this almost certainly demands secure and accurate navigational guidance provided by space systems, for example. The degree of fidelity required to ensure that a nuclear-capable delivery system is discriminate is greater than that required for less destructive conventional systems. The above factors can help an NPT nuclear-weapon state field delivery systems and bombs or warheads that have the potential to be discriminate.14 Just as important, however, is how these delivery systems are used and how these weapons might be employed in a potential armed conflict. This should lead to law of war considerations being integrated into a state’s weaponeering processes. Weaponeering is defined by the U.S. Air Force as “the process of determining the quantity of a specific type of lethal or nonlethal means required to create a desired effect on a given target.”15 It refers to the integration of a series of evaluations by specially trained military personnel that considers factors such as the effects of different types of weapons and various types of strikes, including the question of how many weapons are necessary, whether delivered singly, in groups, or in sequence, to neutralize or destroy a target. Weapons design and weaponeering are highly technical and specialized fields. Particularly during a period of time when an arsenal is being overhauled, upgraded, and perhaps expanded, ensuring that these processes integrate law of war considerations is critically important. They also require a robust interaction or feedback loop with the assessments that inform decision-makers discussed above; the degree to which a weapons designer can make a weapons system accurate, for example, should impact decision-maker views on whether these systems can be used in a discriminate and proportional way. In turn, decision-makers should provide guidance for how investments are made that, in addition to strategic considerations, result in the development of an arsenal that can implement and adhere to the law of war. A weapon may appear to fail tests of discrimination and proportionality, for example, until it can be matched with a delivery system whose accuracy improves on its predecessors (a high degree of certainty in reaching a target, for example, can also lead to the use of a smaller munition). In addition, weapons may be redesigned, replaced, or retired because their yield or other aspects of their design may raise discrimination and proportionality issues in light of changes to a potential adversary’s force that alter calculations of military necessity. Moreover, as noted above, a significant gulf exists between the destructive power of conventional and nuclear weapons; greater investment in high-end conventional capabilities may allow future non-nuclear munitions to fulfill roles and missions currently assigned to nuclear forces. Again, these points do not necessarily rule out the potential employment of nuclear weapons because the need to have a type of force capable of rapidly and totally destroying existential threats may be high. 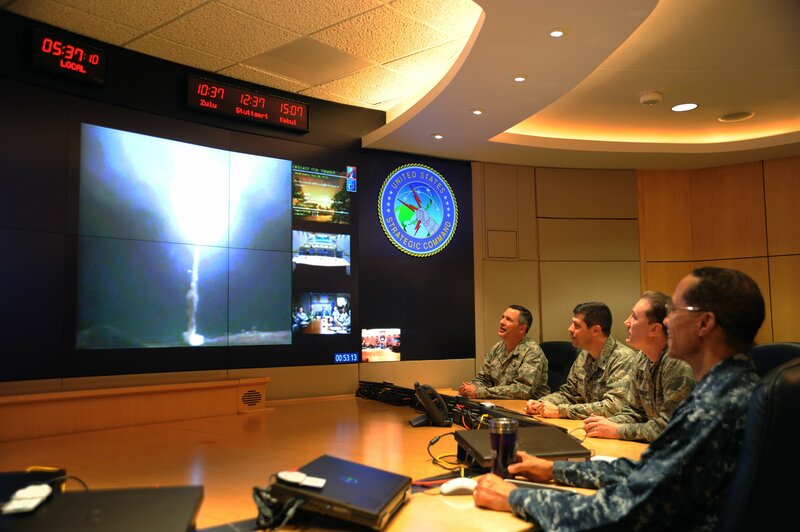 They are arguments, however, in favor of taking steps to integrate law of war considerations into the research, development, and acquisition phases for nuclear-capable delivery systems and nuclear weapons and into the education, training, and processes required to develop effective weaponeering cells within the military services. This respect influences the treatment of wounded or captured combatants and, more broadly, the conduct of war, whereby military personnel do not demonize their opponents, viewing and treating them as professionals. This concept of honor extends to all warfighters, including those tasked with operating nuclear-capable systems and carrying out nuclear missions. This suggests that one way in which to “thicken” the relationship between the law of war and nuclear forces is to encourage professional interaction between those members of the uniformed militaries of the NPT nuclear-weapon states that are tasked with the unique and weighty responsibility of maintaining nuclear forces and preparing to employ them if called to do so in a future war. Aside from the scientists and engineers that develop nuclear weapons, no other class of professional is so well aware of the effects of different types of nuclear weapons employment and, in turn, is deeply wary of the costs and consequences of any conflict between two nuclear-armed states. Increased communication and interaction between these highly specialized forces is not a law of war requirement, but it could bolster the relationship between the law of war and nuclear forces by cementing respectful, professional relationships between these warfighters. The NPT nuclear-weapon states have held an annual conference since 2009 to discuss issues of mutual concern; future conferences could include semiformal sidebar meetings bringing together officers from these five states who have experience in commanding or serving as part of the crew of nuclear-capable delivery systems. Many contemporary commentaries on nuclear weapons and the law of war discuss these weapons within a vacuum absent of any context regarding their development, fielding, or deployment. This can lead to abstract or erroneous analyses that contribute little to understanding or implementation of the law. For the NPT nuclear-weapon states, nuclear weapons are legitimate tools of self-defense and will remain so until such time as all states-parties to the treaty can negotiate a comprehensive disarmament treaty. This does not mean that these weapons or military operations involving these weapons are somehow unregulated. Nuclear weapons and the forces that are “organized, trained and equipped,” in U.S. parlance, to operate them are fully subject to the law of war. This article has offered some thoughts on what this means for these five states with regard to implementation of this body of law. It suggests that this implementation requires integrating consideration of key law of war principles within the broader decision-making processes that develop, establish, and sustain a state’s nuclear strategy, posture, and arsenal, including narrowing and restricting what these forces target and how they might be employed. How the NPT nuclear-weapon states conduct this integration with regard to their current nuclear forces and ensure it plays an important role in ongoing processes to upgrade their arsenals may differ, but it represents an important obligation for all five. Moreover, it serves as a litmus test for this body of law as a whole, providing these states with an opportunity to demonstrate that all weapons, including the most powerful, are subject to the law of war. 1. July 2016 marks the 20th anniversary of the International Court of Justice (ICJ) opinion on the “legality of the threat or use of nuclear weapons,” which continues to reflect these debates in a number of ways. Although the court expressed skepticism that nuclear weapons could be employed in a way that did not violate the laws of war, it concluded that it could not rule these weapons illegal in every circumstance and stated that the court “cannot lose sight of the fundamental right of every State to survival,” reflecting nuclear Nonproliferation Treaty nuclear-weapon states’ arguments that the existential threat posed by other state’s nuclear weapons justifies fielding their own nuclear forces for the purposes of deterrence. 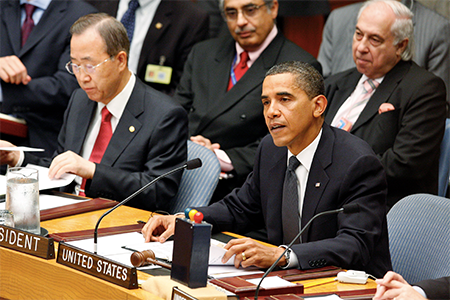 Legality of the Threat or Use of Nuclear Weapons, I.C.J. Reports, July 8, 1996, pp. 40-41, http://www.icj-cij.org/docket/files/95/7495.pdf. 2. The law of war is often referenced as the law of armed conflict or international humanitarian law. The latter body of law is not identical to the law of war. As noted by Christopher Greenwood, ICJ judge, “International humanitarian law thus includes most of what used to be known as the laws of war, although strictly speaking some parts of those laws, such as the law of neutrality, are not included since their primary purpose is not humanitarian.” Office of the General Counsel, U.S. Department of Defense, “Department of Defense Law of War Manual,” June 2015, p. 8, http://www.dod.mil/dodgc/images/law_war_manual15.pdf (hereinafter Law of War Manual). 3. For a discussion of the law of war as lex specialis, see the Law of War Manual’s section 1.3.2. on “The Law of War’s Relationship to Other Bodies of Law.” Ibid. 4. The term “employment” refers to nuclear forces conducting an operation that concludes with a nuclear detonation. In general, the U.S. armed forces tasked with nuclear deterrence responsibilities, including patrols and other operations that are not nuclear strike operations, will often utilize the term “use” to broadly encompass these and other non-kinetic activities. 7. Avalon Project, “General Orders No. 100: The Lieber Code,” 2008, arts. 15-16, http://avalon.law.yale.edu/19th_century/lieber.asp. 8. Law of War Manual, p. 52. 11. David E. Hoffman, The Dead Hand (New York: Doubleday, 2009), pp. 39-40. 12. Col. Charles J. Dunlap Jr., “Taming Shiva: Applying International Law to Nuclear Operations,” The Air Force Law Review 42 (1997): 161-162. 13. Avalon Project, “General Orders No. 100: The Lieber Code,” art. 22. 14. The U.S. statement on the 1996 ICJ case considering the legality of the threat or use of nuclear weapons addressed a number of law of war issues, including the principle of distinction: “It has been argued that nuclear weapons are unlawful because they cannot be directed at a military objective. This argument ignores the ability of modern delivery systems to target specific military objectives with nuclear weapons, and the ability of modern weapon designers to tailor the effects of a nuclear weapon to deal with various types of military objectives.” U.S. Department of State, “Letter Dated 20 June 1995 From the Acting Legal Adviser to the Department of State, Together With Written Statement of the Government of the United States of America,” June 20, 1995, pp. 22-23, http://www.icj-cij.org/docket/files/95/8700.pdf. 15. Curtis E. Lemay Center for Doctrine Development and Education, “Annex 3-60 Targeting: Weaponeering and Allocation,” January 10, 2014, https://doctrine.af.mil/download.jsp?filename=3-60-D26-Target-Wpn-Allocate.pdf. 16. Law of war considerations are included within U.S. Air Force weaponeering. “The output of weaponeering is a recommendation of [what is] needed to achieve desired effects while avoiding unacceptable collateral damage…. According to [the law of war], incidental damage to civilian objects must not be excessive in relation to the expected military advantage to be gained. Collateral damage criteria were established on this foundational principle.” Ibid. 17. Law of War Manual, pp. 66-67. Dr. Justin Anderson is a research fellow at the Center for the Study of Weapons of Mass Destruction at National Defense University. The views expressed in this article are those of the author and do not necessarily reflect the official policy or position of the National Defense University, the U.S. Department of Defense, or the U.S. government. 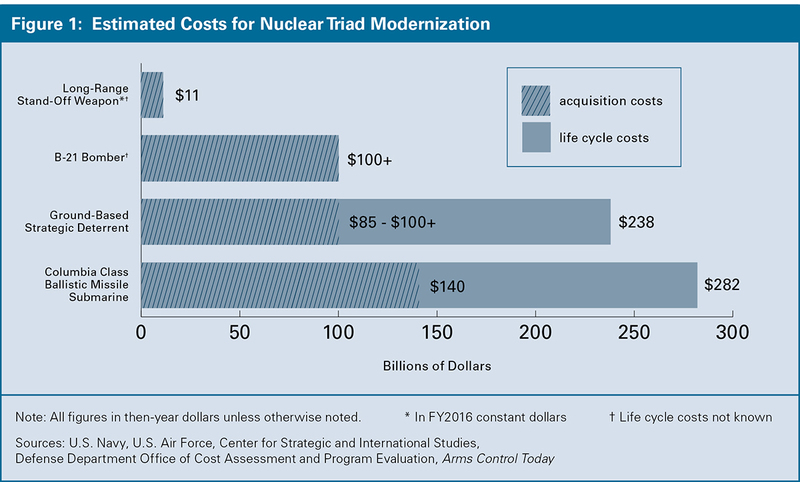 Modernization proponents argue that the costs will only impose a small financial burden relative to the overall military budget. Are they right?